You have a vision of your business and your website as one that provides customers with everything they are looking for in your business niche. You have the best products and services to offer and think your website does a good job for you, but over time, your sales seem to have leveled off or perhaps even dropped some. Fewer people are visiting your site online, and your business does not seem to have the buzz it once had when you first started out. It may be time for you to shake things up a bit. The website you had when you first started may no longer be as enticing as you thought. Perhaps it is time for you to contact us at Websites Design LA so we can help you create the innovative website to get you back on track. The Internet world of today is vastly different from the one that existed when you started your website a few years back. Today, there is a much stronger emphasis on mobile devices. People tend to use their smartphones and tablets to do more than ever before, and when you originally started your website, mobile devices were not much of a consideration for you. You may have a site that does not load well on mobile devices, causing lag, hang-ups or problems to occur when people access your pages. They will quickly become frustrated and move on to another business instead of looking at you. You want to make changes that bring your site up to date and make it more user-friendly across the board. 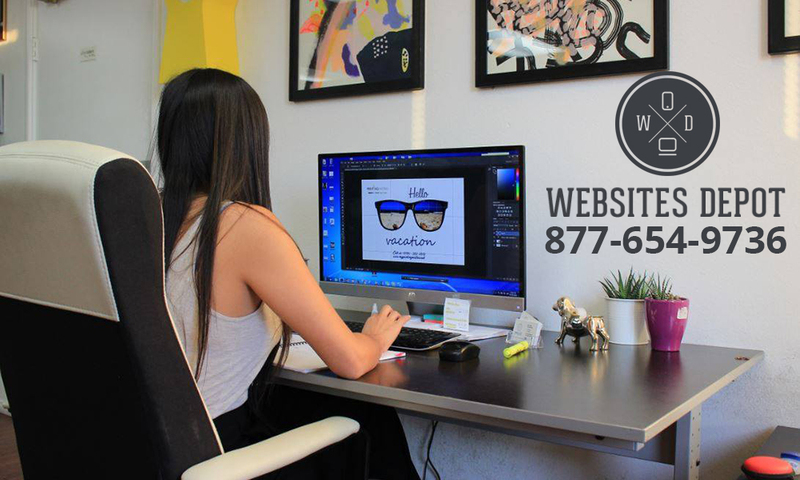 Our goal at Websites Design LA is to create a website for you that is fresh, innovative, user-friendly and highly effective. Our team of experts will work closely with you, talk about your business needs and goals, look at your current site and then make recommendations to you about changes, improvements, and redesigns. We will craft the perfect website for you, giving you the greater brand recognition you want and a site that performs well for you. To find out more about the various services that we can provide for your business, please contact us at Websites Design LA by giving us a call at 323-407-6675. You can also learn more about us by visiting our website at www.WebsitesDepot.com and see how we can create a website for you that is attractive to your audience, draws more interest and converts more sales for you than ever before.